ICONIQ Capital, the wealth manager to Silicon Valley billionaires, has moved quickly in its entrance into data center investing. ICONIQ has taken equity positions in two T5 Data Centers projects in Dallas and Portland, the companies said this week. ICONIQ is an investment management firm whose clients reportedly include Facebook CEO Mark Zuckerberg, LinkedIn chairman Reid Hoffman and Napster co-founder Sean Parker. The company recently registered a subsidiary (Iconiq DC Management) to invest in data center properties. Tech billionaires aren’t the only ones interested in the data center market. A growing number of lenders and equity investors are focused on the performance of data center developers, who are being boosted by demand for server space from major cloud computing platforms. Another new player is Safanad, a global private equity firm based in London and Dubai, which recently made an equity investment in Central Colo. Broader investor interest makes it easier to raise capital for new data center construction which can run from $100 million for a multi-tenant facility to as much as $1.5 billion for a cloud campus housing several buildings. That sets a fairly high barrier to entry, which is why well-heeled private equity firms have historically been the most active players in the data center world. Wealth management firms, which provide investment advice for high net worth individuals and families, are a new wrinkle in the data center investment scene. Terms of the transaction between ICONIQ and T5 Data Centers were not disclosed. 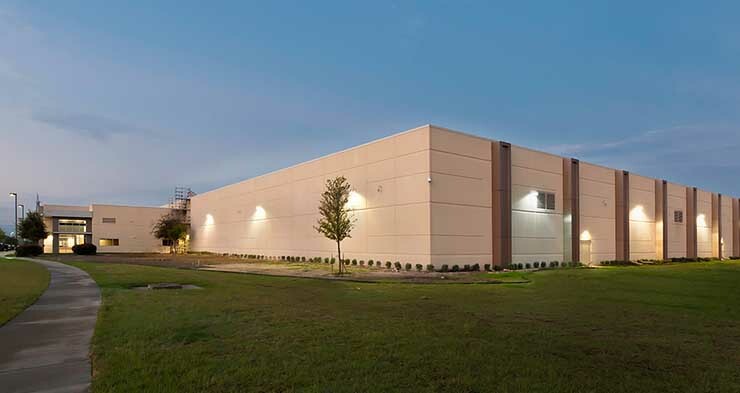 The data centers in Dallas and Portland, which are fully-leased, will continue to be operated and managed by T5, which will “continue to hold a meaningful ownership stake in the properties,” the company said in a release. Data center assets have been standout performers on Wall Street over the past year, with publicly-held data center REITs soaring 20 percent in the first quarter of 2016. The return on capital for data centers has exceeded that of competing real estate asset classes like shopping centers, self-storage units and office space. That track record has attracted attention in the current investment climate, as extremely low interest rates have prompted wealth management firms to seek new vehicles to deliver a return on their investments. Pete Marin, President & Chief Executive Officer, said T5 had begun a “strategic relationship” with ICONIQ. “The recapitalization of equity at T5@Dallas and T5@ Portland marks an important milestone for the company and demonstrates our ability to attract the highest caliber capital partners as we continue to grow our portfolio of top tier data centers nationwide,” Marin said in the announcement of the deal. 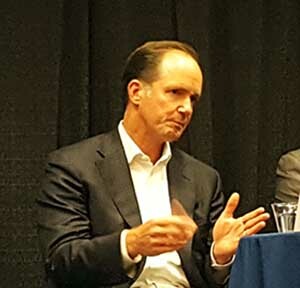 Marin expanded a little on those comments at last week’s CapRate Mid-Atlantic Date Center Summit in Ashburn, Virginia, saying the recapitalization was the best way to secure capital, rather than an IPO. “We’re certainly big enough to be a public entity, but I’m not ready to be reporting on a quarterly basis,” Marin said. T5 currently has data center facilities in Atlanta, Charlotte, Dallas, Los Angeles and Portland with new projects announced in New York, and Colorado. T5 also recently acquired the Forsythe Data Centers building in Elk Grove Village in the suburban Chicago market. Marin said the Chicago expansion will give T5 a leg up on expansion in a fast-growing market. T5 plans to develop the remaining space in the building for wholesale or build-to-suit data center requirements. The property has an additional four acres adjacent to the building, where T5 says it can develop an additional 28 megawatts of data center capacity. 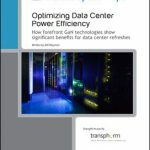 One seeming gap in the T5 portfolio is Northern Virginia, which has seen explosive growth and is one of the most competitive data center markets, especially for wholesale inventory. Financing data center deals wasn’t easy in the wake of the dot-com collapse of 2001-03, which led to bankruptcies and failures for major data center builders like Exodus and AboveNet. The debut of Digital Realty, the sector’s first publicly-held real estate investment trust (REIT), helped provide benchmarks for investors and made the case for investment in existing players with a track record. Access to capital has improved gradually over time. Data center finance experts say it’s getting easier to finance growth with debt. “I think there’s growing understanding of the data center industry by lenders,” said Hunter Newby of Netrality, who has been an active player in financing telecom and data center facilities since the 1990s. 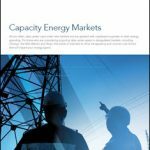 With its client list of technologists whose companies use data centers, ICONIQ has a unique perch from which to assess the market, as the company noted in an SEC filing. In addition to Silicon Valley luminaries, ICONIQ’s clients reportedly include Hong Kong investor Li Ka-Shing, who has a long history of investing in telecom and data center infrastructure in Europe and Asia. ICONIQ says it will focus on private equity and debt investments, and may invest in joint ventures, REITs, and companies that provide services to the data center industry.